The MC-55A Peregrine EW aircraft will look similar to the G550-based AEWC aircraft used by the Republic of Singapore Air Force uses. Photo c/o AIN Online. The Australian Department of Defence (DOD) announced on 18 March 2019 that they are planning to acquire four modified Gulfstream G550 business jets as an airborne electronic warfare platform. According to Australian Defense Minister Christopher Pyne, the new aircraft will be intergrated to the Australian Defence Force’s joint warfighting network, and will be a crucial link between platforms like the F-35A Lightning II Joint Strike Fighter, the E-7A Wedgetail AEW&C aircraft, the EA-18G electronic attack aircraft, and the navy’s surface combatants,amphibious assault ships and ground assets. It was estimated that the project will cost around A$2.46 billion (US$1.7 billion), which will include A$257 million to be spent on new facilities in its future base at RAAF Base Edinburgh in South Australia. These investments are expected to benefit Australian companies and workforce. The US Defense Security Cooperation Agency identified the prime contractor to be L3 Technologies, and will be a Foreign Military Sales (FMS) deal between the US and Australian governments. 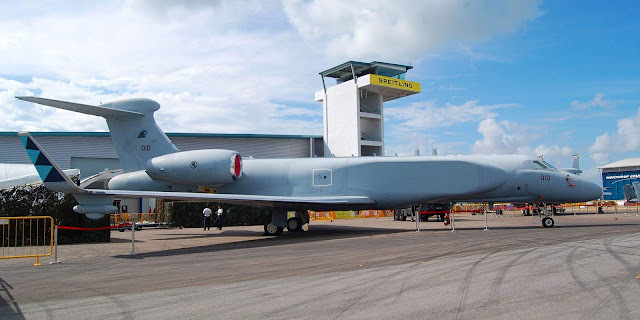 RAAF Base Edinburgh is being propped to become a “Super Base”, with the RAAF’s fleet of Boeing P-8 Poseidon maritime patrol aircraft already based there, and is being prepared to base the Northrop Grumman MQ-4C Triton surveillance UAVs and General Atomics MQ-9 Reaper armed UAVs.